Was this in the Plan? 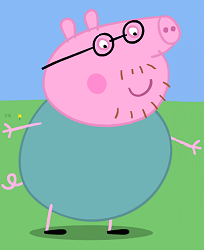 : Happy Birthday Daddy Pig! Anyone who knows Daisy well will know that one of the most important things in her life is Peppa Pig, the cartoon character - in Daisy's world she is Peppa, Jules is George, I am mummy pig and Andy is Daddy Pig. It is an absolute sign of affection if she calls you "Pig". Andy bears a lot of similarities to Peppa's daddy - he likes to hide away and read his paper, he's not very good at keeping fit, he loves chocolate cake and he often gets things wrong which mummy pig has to sort out!!! But most of all, Peppa loves him, just as Daisy loves her own Daddy Pig! "Do not regret growing older, it is a privilege denied to many"
Andy's birthday also gave us the chance to reflect on where we are in life now...was this what we had envisaged all those years ago when we met, or when we started a family? While we were celebrating Andy's birthday Daisy was still in Great Ormond Street Hospital, recovering from central line sepsis where she had been infected by both e.coli and staphylococcus. While everyone else at the party was able to go home and enjoy a leisurely morning the next day nursing hangovers and sore feet from dancing the night away, Andy and I were up bright and early having returned to our hotel near the hospital at 3am to be back on the ward with Daisy at 8.30am and resume the normality of our lives. Was this really what he expected to be doing in his 50th year? Surely by now he would have expected to slow down, no longer be changing nappies, not being forced to sing all the theme tunes from Disney Jr. We had hoped to have more time together, losing children to sleepovers and cub camps now and then. 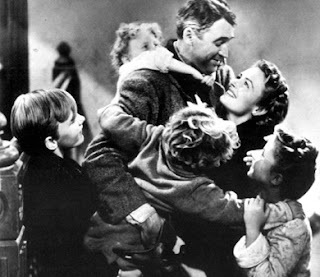 Instead our lives involve long, broken nights, endless lifting and carrying, a house brimming at the seams with medical equipment and supplies and a knowledge of medical terms and skills that would put a Junior Doctor to the test! A quiet life was never going to be on the cards when Andy married me 20 years ago but an interesting one...yes! And when the going got tough Andy did not walk away. In our special needs world we have heard story after story about Dads who walked away - when their disabled child was born, when the workload became to much, when the disappointment was too hard to bear....we have many friends who are single handedly bringing up a child with additional needs because the father did not stick around long enough to discover the joy that child could bring. We can't change what has happened to us, our plan for a halcyon life in the suburbs has not quite turned out, but we can change how we feel about it. We try to focus on what we have - Daisy is now out of hospital, we are all re-united back home together under one roof. Life is hard, it's physically demanding, emotionally it takes it toll - but we have fun, we have a laugh, we have parties, and for all the tough times and dark times there are good times. It's Christmas soon and I guess that Andy is like George Bailey from the film "It's a Wonderful Life" - George had hopes and dreams when he set out , he wanted to do so much but in the end he realised that it was the little things that made a big difference in people's lives. You don't need to set the world on fire to make a big impact and being Daddy Pig to Daisy and the rest of our family is what makes the biggest difference to us. As a (very) junior doctor, I can definitely agree with what you said about Daisy testing any junior doctor - much as I would love the pleasure and privilege of meeting and looking after Daisy, her complex needs would push my medical knowledge right to the very limit, and probably beyond. I imagine I could learn a lot from you and Andy - you have a more specialised knowledge than I do.